Salman Khan’s Tiger Zinda Zai could be spotted shattering the box office earnings from the very beginning. The film got houseful shows in UAE which will definitely contribute to overseas box office earnings of Tiger Zinda Hai. From today onwards, there would be only two most talked about topics in India which would be Tiger Zinda Hai Collection and Box Office Earnings and Christmas. Salman has risked a lot by taking Christmas break to release his film. He ditched the series releases on Eid this time to mint out the best from the opportunity. As a result of ongoing vacation around the world, Tiger Zinda Hai is observing quite realistic growth in India and Overseas. Series holidays of Weekend and Christmas along with the new year is going to help the movie box office growth in India as well. The movie got one of the biggest releases ever with screening in over 5700 screens Worldwide. All the single screens and multiplexes have well supported ‘Bollywood Bhai’s’ film even after his last flop disaster ‘Tubelight’. The trust of theatre owners and distribution line stakeholders can be considered unshaken with a tremendous response on Tubelight Occupancy during the release days. ‘Tiger Zinda Hai’ got a release in over 4600 Screens around the country and 1100 overseas. The share of screens improved dramatically once the reviews started floating in. ‘Fukrey Returns’ box office earnings are expected to suffer TZH post-release. The movie got better screening around the country than Salman Khan’s ‘Sultan’. ‘Sultan‘ was released in over 5500 screens over the world initially. In mid-2017, Baahubali: The Conclusion performed better when it comes to gathering a good number of screens, Baahubali got over 9000 screens around the world. The primary reasons behind getting 5700 screens for ‘Tiger Zinda Hai’ are monolingual release and two films (Middle-Class Class Abbayi & Velaikkaran) competing in Telugu and Tamil Market. ‘Tiger Zinda Hai’ is expected to perform better than Aamir Khan’s Dangal on the box-office. There is a strong reason behind explaining this maths of box-office which is how ‘Tiger Zinda Hai’ collection is going to get affected by Baahubali earnings. Films first day earnings are nowhere near to Baahubali because of the same reason. Another major reason was ‘Tubelight‘ fate which affected the overall earnings. Overall occupancy of 70% observed in prime location theaters during the opening day. 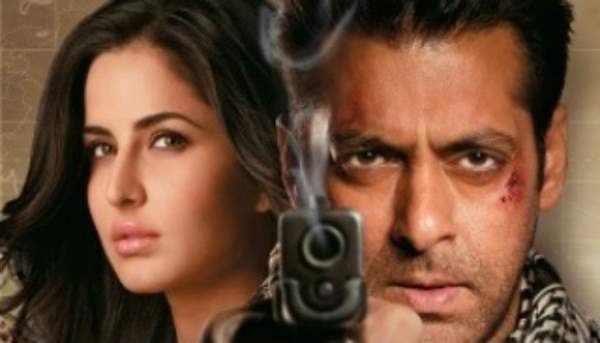 No doubt with a Weekday release, Tiger Zinda Hai performed exceptionally at the box office. Many of the films got the release during the holidays/ partial-holidays which increased the viewership for obvious reasons. ‘Tiger Zinda Hai’ collections could perform best on the Weekend and Christmas earnings of the film would be the really hot thing to talk about. The second-day occupancy was a better day as compare to the first day. There was a number of houseful shows in Delhi, Mumbai and other locations of Uttar Pradesh and Bihar. The movie got a tremendous response from Maharashtra, Gujarat, and Haryana as well. Because of Socio-Political reasons, Tiger Zinda Hai wasn’t able to get deserved lead in Rajasthan as protests observed around the state for no good reason. Expected Second Day collections of Tubelight Film are expected to be anywhere between 30 to 40 crore rupees. Considering the advance booking trends on online portals, the film is going to shatter all records this weekend. ‘Tiger Zinda Hai’ got everything on the box office to be the super hit film of the year. Coming to the overseas earnings, film minted out 7.5 crores on the opening day alone from Australia, New Zealand, and UAE-GCC countries. The movie is observing markable growth in the International market with the release of over 300 theaters in the USA alone. There is no time in recent years when Salman Khan film wasn’t preferred by the audience when released on Extended weekends. The audience could be seen always preferring Salman over other Bollywood actors. Katrina Kaif presence in the film adds charm over the already hit release. We hope you’ve got every information regarding Tiger Zinda Hai and its Box Office Collection. Do share the box-office report on social media to inform your friends about the same.